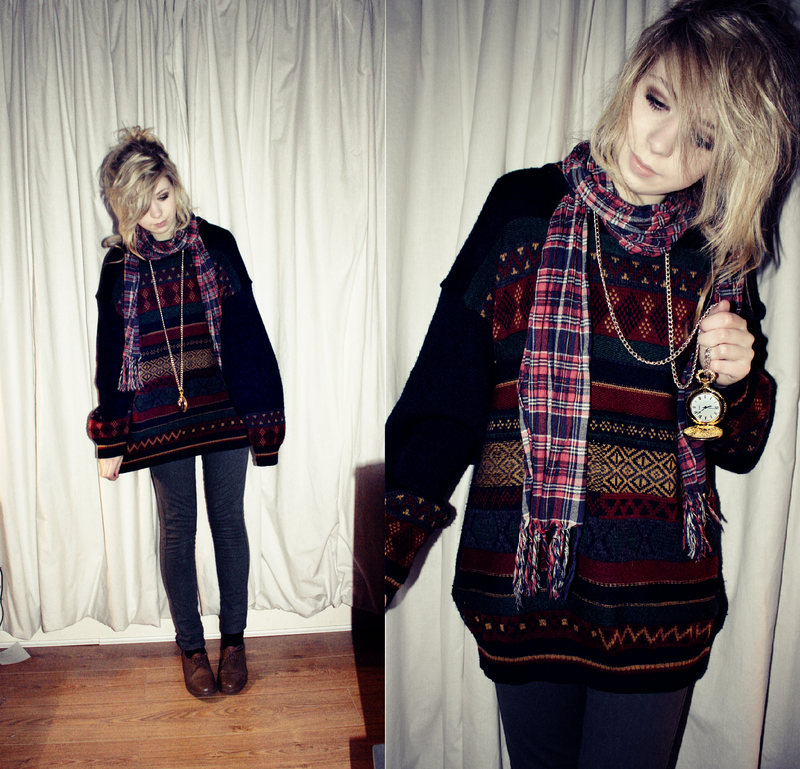 This was what I wore on Wednesday, it was really cold, I had three more jumpers on under that one! The Jumper is from a charity shop, it was only £1, I think the volunteers there must have thought it was ugly because its old and so they were selling it cheaply. 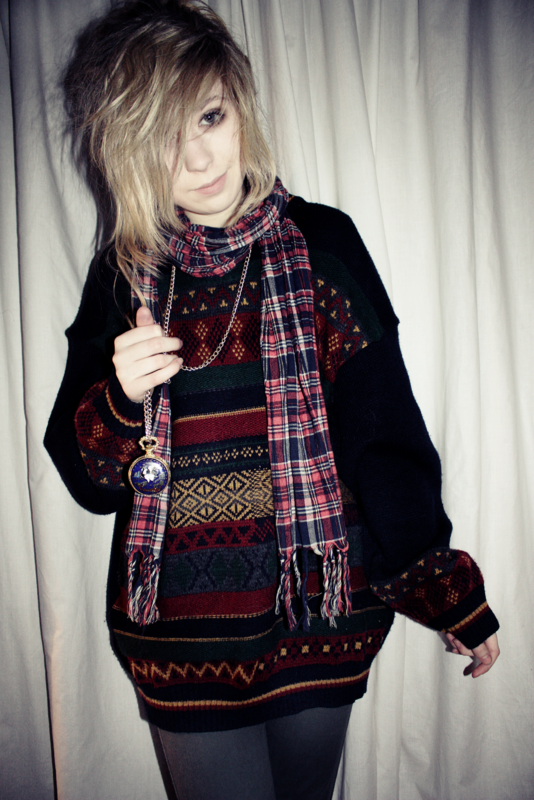 My scarf was from primark, I bought it about 2 years ago, its from the mens section, I couldn't find any I liked in the womens. The pocket watch is from a Jewelers at a Car Boot Sale, it was only £3. I had seen them before in Urban Outfitters and I really wanted one so when I saw this one at the car boot sale I had to get it! My jeans are from Primark, there a really dull khaki colour, but I like them, it makes them a bit different from the average blue jeans, I think they were £8. I get most of my jeans from primark, mainly because there cheap and seem to be just as good as any other jeans. 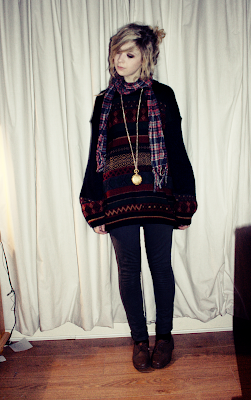 The shoes are my nans, she gave them to me this summer and I haven't worn them yet but they are really comfy!